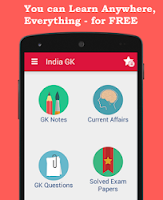 26th July 2016 Current Affairs MCQs, Quiz, Questions for India GK, World GK and current affairs with Collection of daily objective type Question by www.Indiagk.net for UPSC, State PSC, SSC, Police exam, Railway exam, SBI, Bank PO, IBPC, SSC, LDC, UDC, Army, Airforce, Navy, Coast Guard, Bank Clerk, TET and all entrance examinations. Which activist decided to end 16 years old hunger strike on August 9, 2016? Kargil Vijay Diwas is celebrated on which date ? Flipkart’s Myntra on 26th July announce to acquires which company in $70 million ? BRICS Policy Planning Dialogue was concluded on 26 July 2016 in which city ?